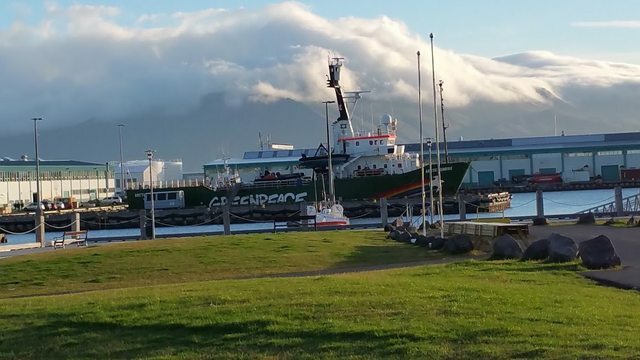 There is a green peace boat in dock. A controversial group, I've only read about them. Seeing their ship docked was an odd experience. Also behind it you can see the clouds over the mountain. They often look like foam pouring down the mountainside. Beyond admiring the morning, my day is as it has been. I get up at 0645. I go to breakfast. I walk to CCP's offices. I read over the minutes more and add some things. People have been very pleased with these released minutes. However, they don't tell the whole story of the discussion back and forth. They don't reflect that we run over time every single session and we've crammed a few extra in. Steve's been giving breakdowns of how he feels in the sessions. I always feel nervous and stressed. How I feel does not reflect how the players will feel. I've learned that I have no ability to dictate what will make people happy and what will disappoint them. The minutes are out as I write this which makes a review easier. But let me comment on Tuesday. The Customer support session on day two session was very good. I went in with a few major points last year. One of them being a central place for policy and the other being some more directions to help players in a situation where they believe someone is suicidal. I have secondary goals like better instructions and more clarity as to the the CS process. As for day three, the QA team was good. They have consolidated several areas that I've been chasing individuals around for. Economy news was always good. I tried to ask a few useful questions. The launcher session was solid. Structures was a continuation of what we have been talking about every day. Art is another group that has been listening to player feedback. We're working on a follow up meeting with the art director. The UI session was productive. That team has changed a lot so some of it was touching bases again and pushing him things like scaling is a problem and we need the client to be MUCH bigger then it is now. And then the Fanfest review. They have someone dedicated to planning all of that good stuff. My evening was uninteresting. I came and holed up in my room for the night. Everyone is falling sick around me but I still feel fine. I won't trust it until I don't come down with something. As a person who typically awakens around 05:30 listening to you grouse about 06:45 fills me with malevolent delight (I’m mean like that :). I also note the early hour provided some nice pictures so yah for me! It appears CCP is timing some devblog releases to correspond with the CSM summits which strikes me a good thing in a couple of ways . . . 1) CSM isn’t obliged to sit on NDA information quite as long and 2) the timing emphasizes/advertises how the CSM is involved in the process. I also note that multiple CSM members via different venues have commented that this summit has proven less reproachful and toxic than many feared. Personally, I’m not surprised. 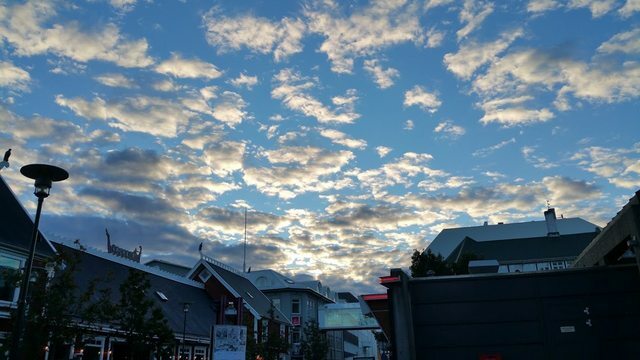 Not only does meeting face to face facilitate quickly moving from grievance to cooperation, the blunt fact that CCP, at their own expense, flies CSM members out to Reykjavík physically reveals that CCP is highly interested in player input. One can argue about how effective the CSM is (and prior to that one would have to argue about what counts as effective) but what the very presence of the institution signals is not in question. When it comes to a sandbox like New Eden, this is import stuff and it pleases me that you, the other members of the CSM and CCP put in the time and dedication to facilitate its ongoing development.